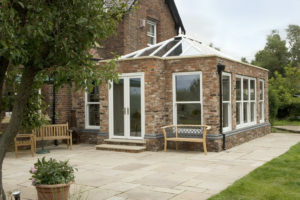 Orangeries exude a beautifully traditional appearance that can be easily fitted into both modern and traditional homes. 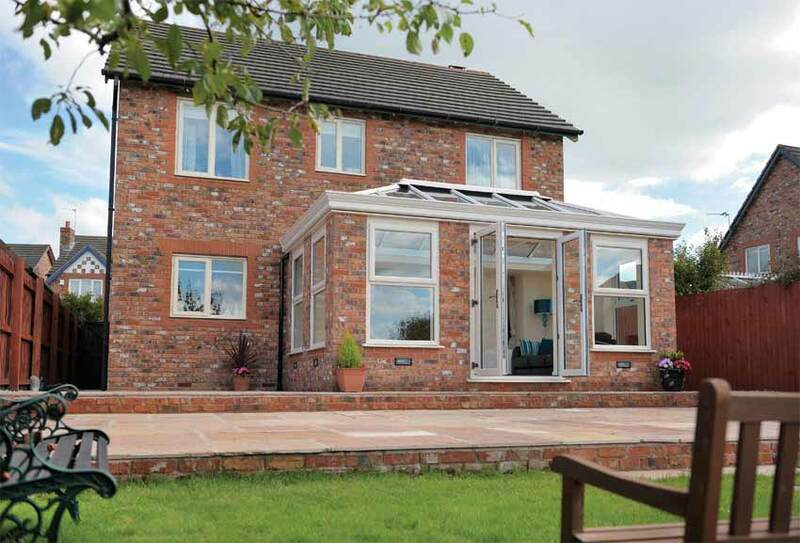 Combining premium materials with expert installation, our orangeries promise to be a new addition that lasts. Offering high standards of thermal efficiency, security, durability and performance, orangeries from us are exceptionally well-rounded. Orangeries offer homeowners the opportunity to enhance their home with an exceptional quality, professionally fitted addition. They promise extra living space, increased comfort and traditional charm. But what is an orangery? Unlike conservatories, orangeries feature a build that utilises more brickwork than glass. This not only allows for a more striking appearance, it also offers reduced sightlines that increase the amount of privacy you can experience. 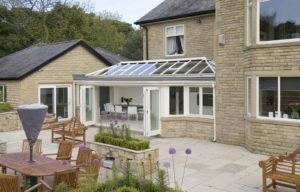 Orangeries specialise in combining all the benefits of a conservatory with the appearance and essence of a traditional home extension. This means you can enjoy a cost-effective addition to your home that offers the best of both worlds. 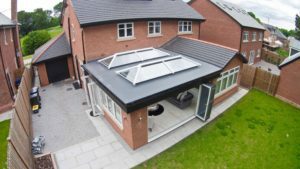 To ensure exceptional standards of thermal efficiency, build quality and aesthetics, we use the outstanding roof designs from Ultraframe. These roof systems are specially designed to guarantee and more comfortable, better quality orangery. 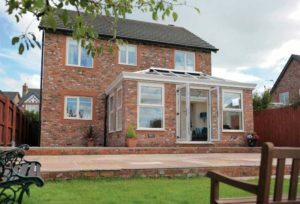 Achieving high performance thermal efficiency across the board, our orangeries ensure you always have a comfortable place to relax, despite the time year. This allows you to save money on your heating bills. By using brickwork as its main building component, orangeries achieve remarkable standards of inherent strength and robustness. This is then enhanced with high security locking points on all access points to make sure any would be intruders are deterred. We offer a range of bespoke options for our orangery range, allowing you to choose the brickwork and materials used to ensure you get the perfect fit and look for you and your property. We strive to make sure you own an orangery you are proud of. If you need some inspiration why not see these amazing orangery design ideas from Ultraframe. Our expert team will be able to cater for your tastes and specifications, allowing to enjoy an addition to your home that comes from the heart. We have over 30 years of experience to draw from, so you won’t have to worry about it being perfect for you. We offer a range of glazing options for our orangery range that allow you to enhance the appearance and performance of your design, simultaneously. This includes Planitherm glass that works to save you money on your heating bills and Pilkington self-cleaning glass that offers a practical, hassle-free option for any and all homeowners to enjoy. Get in touch with us via our online contact form to speak to member of our friendly and professional team. We’ll strive to offer you outstanding customer service, ensuring you get the ideal quote for you, your property and your budget. Alternatively, you can get in touch with us via this method should you have any questions about our orangeries, installations, prices or other services.